Each Audio Visual system is bespoke, from the equipment specified, the cable routing to the room it is installed in. We are able to accommodate most requirements. 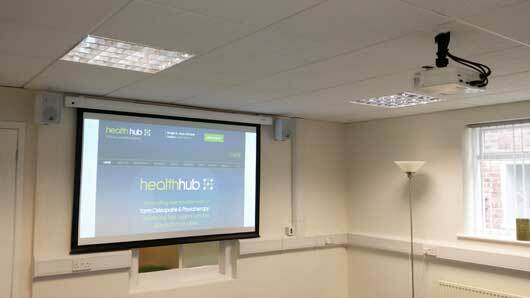 Training room / health studio with projector onto electric screen and sound system. 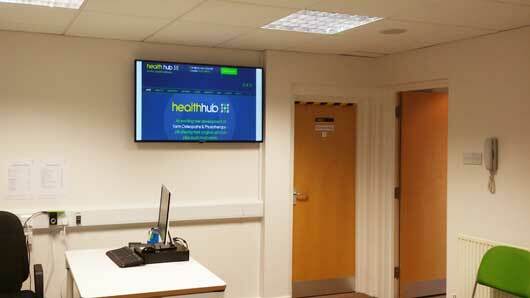 Reception area display with wall mounted amplifier and ceiling mounted speakers. 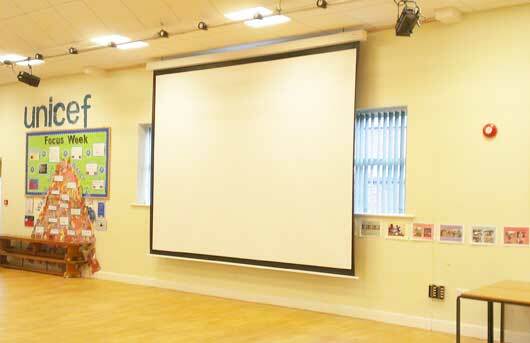 Primary school installation consisting of a 360 x 270cm remote controlled electric screen with 6000 lumen projector mounted on the opposite lighting bar. The screen could not be fixed to the wall due to a curtain rail running behind. To get around this wall brackets were used above the suspended ceiling and dropped down to the screen. 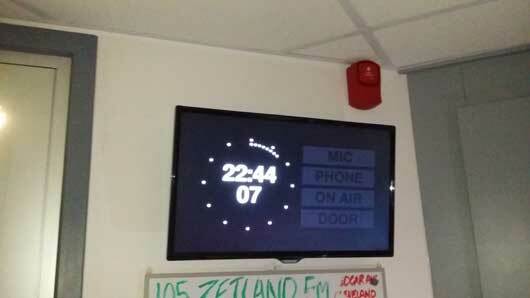 Simple wall mounted 24 inch display connected back to a Raspberry Pi running studio clock software. For presentation, all cabling was taken behind the wall to above the ceiling tiles. 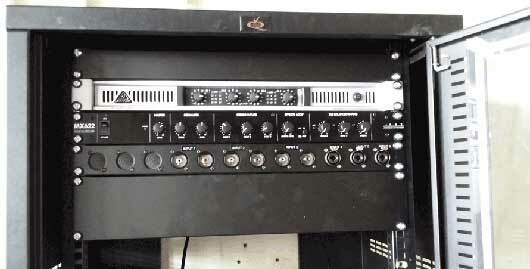 Audio system in a primary school – Brief was to remove the existing setup and install something that was easy for staff to use. We used equipment that wasn’t loaded with additional features and then built a custom panel to bring all connections to the front of the rack. It received a big thumbs up from staff.